The George Washington Masonic Memorial Association has announced the creation of a new Society comprised of a select group of members dedicated to supporting the Memorial and its Mission. The purpose of the new George Washington Memorial Society is to raise support for the George Washington Masonic Memorial and to increase awareness of the Memorial among Masons and in the community. Membership in the Society will consist exclusively of Charter Members and Regular Members. 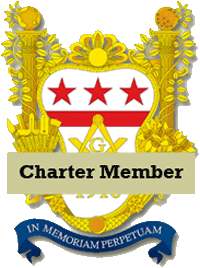 Charter Membership will be conferred for contributions of $1,000 or more to the Memorial with the membership application during the period from the foundation of the Society through February 22, 2013, and $250 or more per year thereafter. Regular Membership will be conferred for contributions of $500 or more to the Memorial with the membership application, and $250 or more per year thereafter. To join, see the Society's website here.